In a world where technology reigns supreme, every aspect of our lives depends on concentrating and focusing on information brought to us in digital form. While this makes our lives more convenient in many ways, there are some significant drawbacks; tech can cause us to become a bit more withdrawn and anti-social. It can never replace real-life relationships and interactions. However, the most dangerous aspect of using technology in our everyday lives is the fact that we need to bend our necks to stare for hours at computer monitors, slouch in chairs when writing emails and overall get used to poor posture that can lead to health problems down the road. Our cell phones have basically become miniature computers where we interact with others through sources such as Facebook, texting, instant messaging and other forms of social media. We have to bend our necks down when using smart phones; no individual uses it at eye level, especially since it would look ridiculous. The more we interact with our phones on a daily level, the more stress we put on our neck muscles, spine and vertebrae. So how can we limit the potential damage to our necks and reduce pain when we are addicted to our phone interactions? Consider several points: do you need to be on your phone every hour? 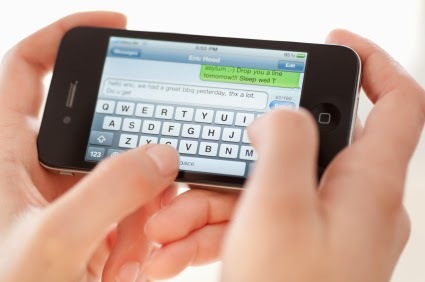 A practical application is to only use your phone for a short time in the morning, at lunch and in the evening. This should give you sufficient time to check for any emails and respond, as well as textual messages. Another way to reduce your time is to set a cutoff time each evening for electronic use; for instance, for phones, computers, video game systems and television, set a “turn-off” time for 8:30pm. This will allow you to spend the rest of your evening before bed to read, pursue other interests, work out and maintain a healthy lifestyle. Ultimately, if you continue suffering from neck pain, make sure you take the time to see a pain care specialist at New York Pain Care. Neck pain can be debilitating if left untreated; we can help get your life back on track, pain-free.